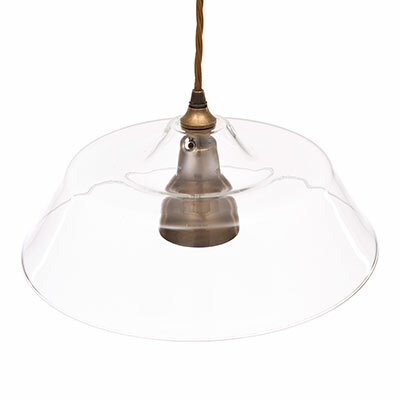 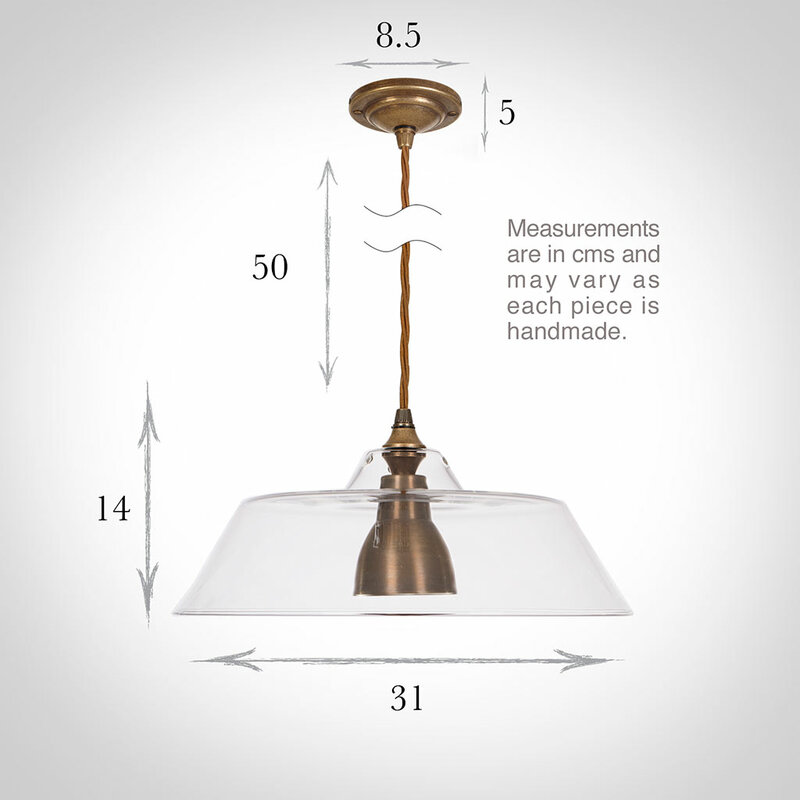 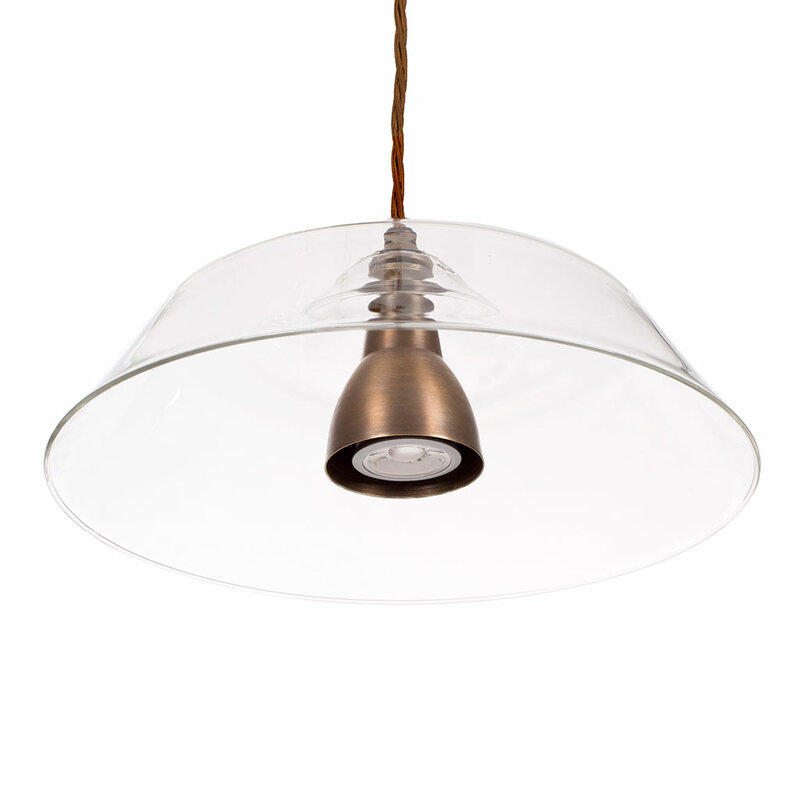 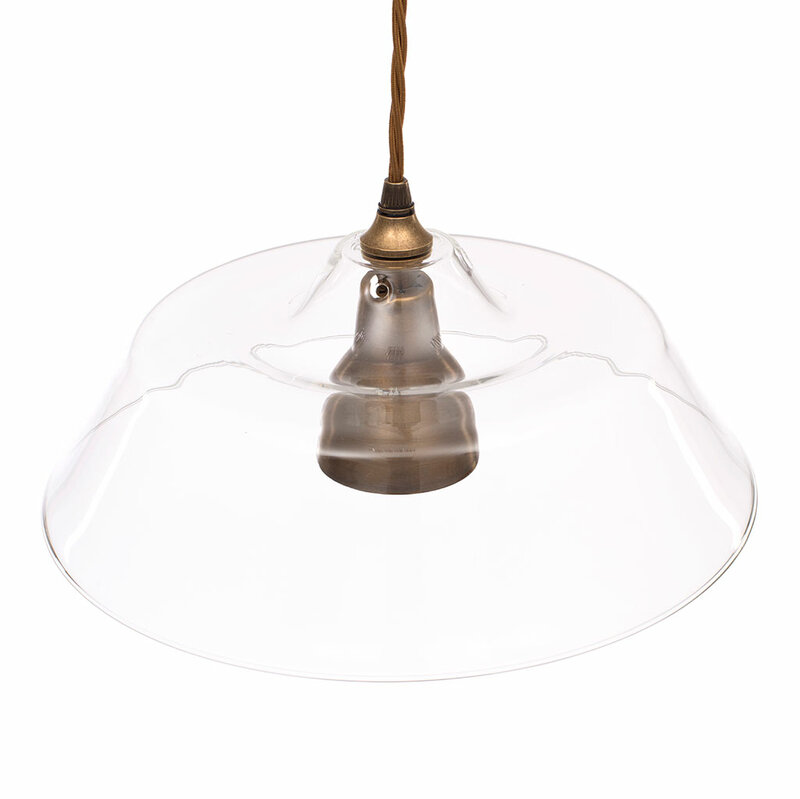 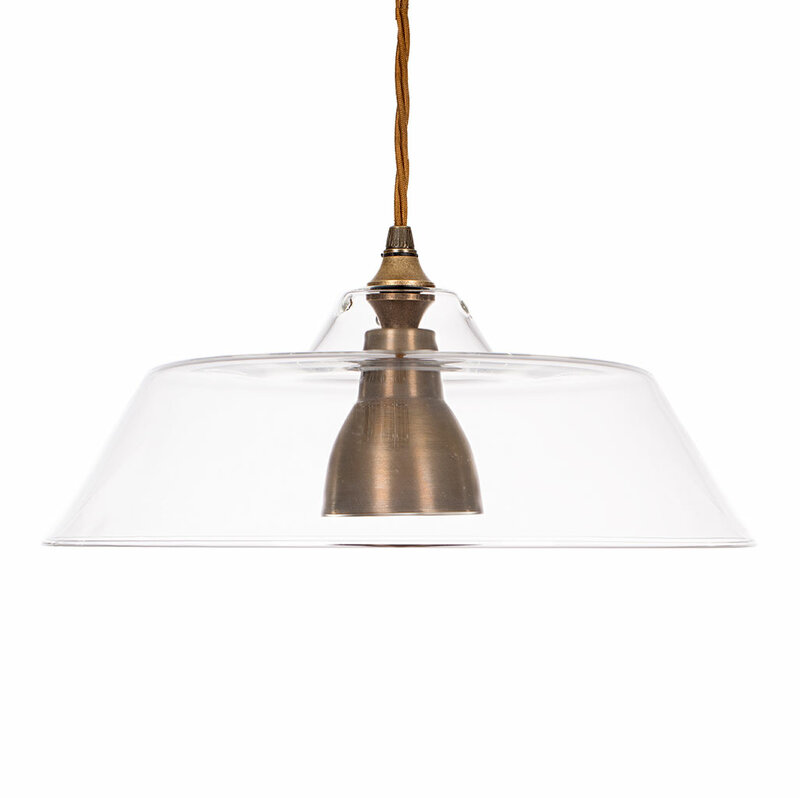 An attractive pendant light with a clear glass shade surrounding a forged iron or antique brass centre piece. 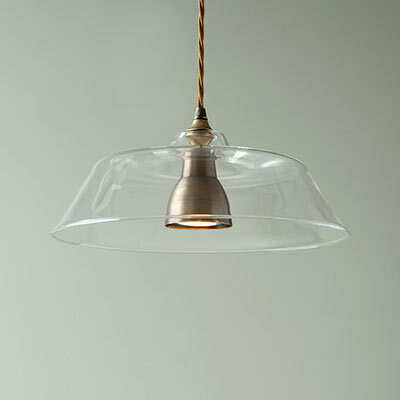 The Lynfield is a simple, elegant pendant that would look beautiful in a kitchen or dining room. 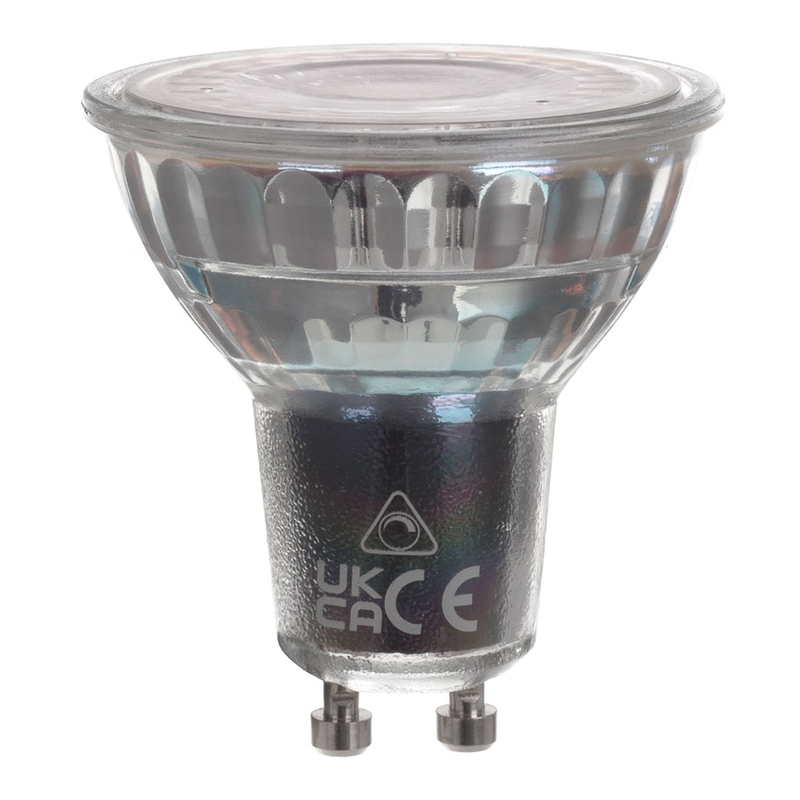 Additional Information: supplied with 50cm braided cable and ceiling fixing. 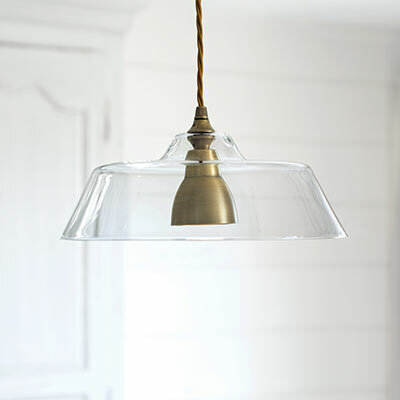 We have three of these over our kitchen island and look perfect. 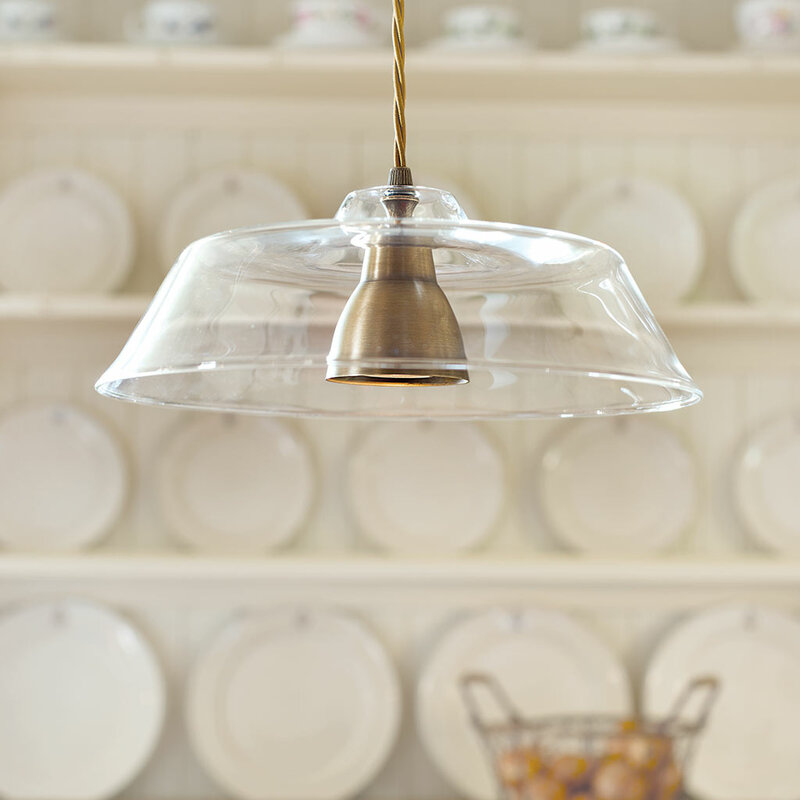 The staff on the phone gave us some very good advice.